Anyone who has machine-quilted a quilt knows that it can be hard and tiring to push that large quilt around the needle of your machine. It’s a bit of a workout, actually! 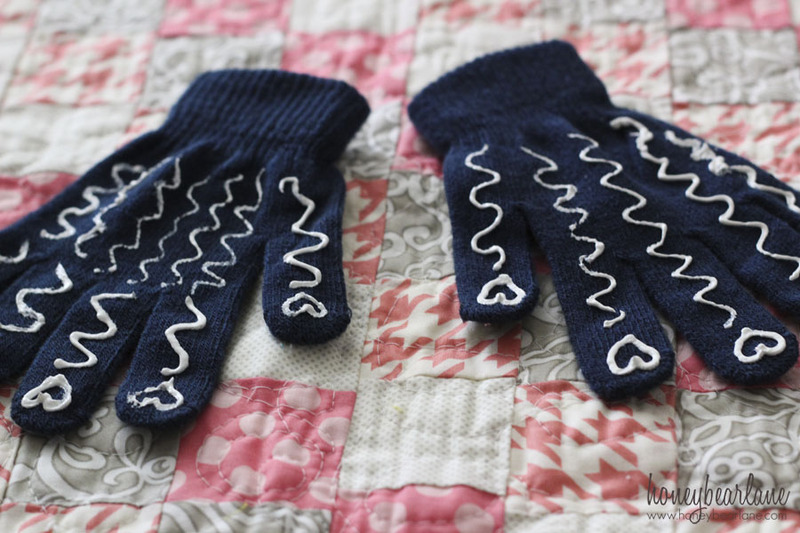 Here is something you can make in a couple minutes that will help you when pushing your quilt through–DIY quilting gloves! 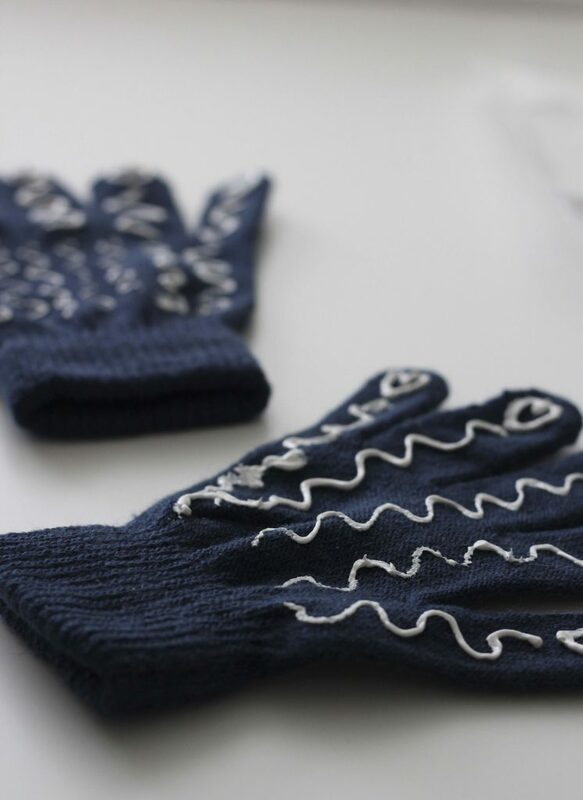 They are basically just those one-size-fits-all stretchy gloves with some rubbery grip added to the palm and fingers so it grips the fabric. All I used for this was Decoart Foam paint. 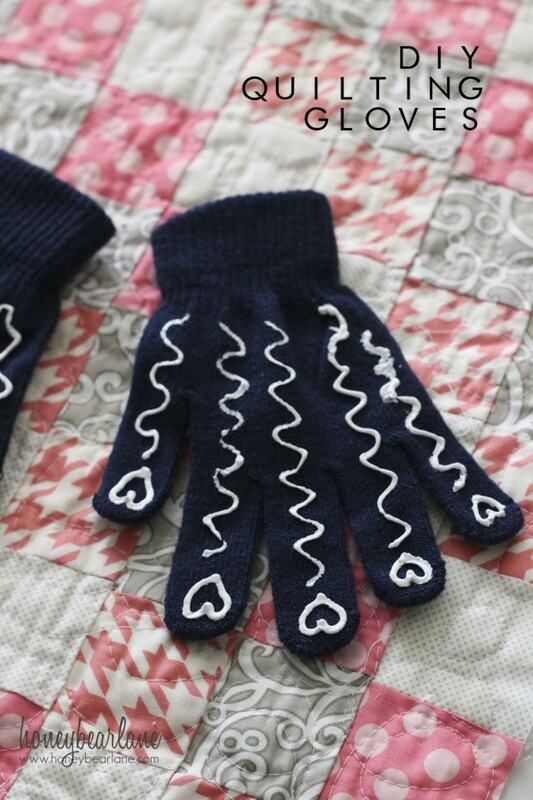 Simply find the palm side of your gloves and then use the tip to create a fun design on your gloves. Let it dry for at least 4 hours and then you are ready to go. 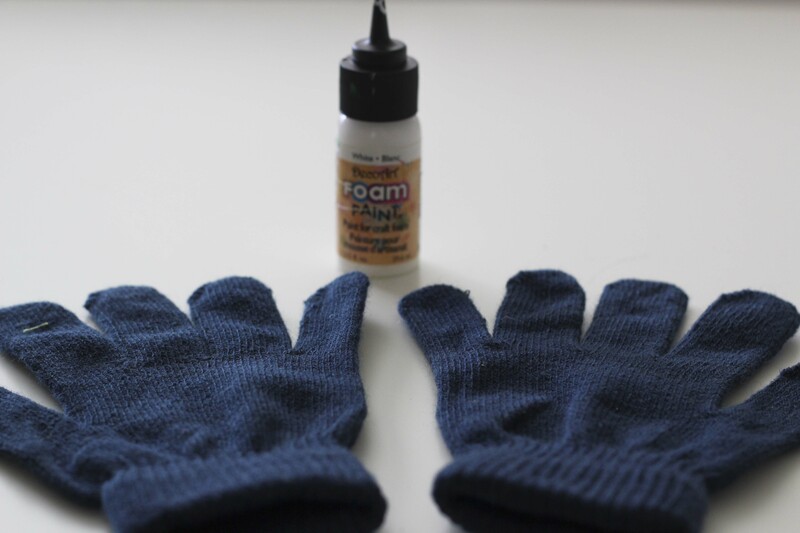 I found that if the paint was thick it tended to sit on top of the glove fabric rather than penetrate it. If it’s sitting on top, it will be easy to just pick off once it’s dry–you don’t want that! So make sure you kind of push the paint into the fabric. However if you don’t pipe it on thick enough it will not give the rubbery grip either. Also it’s good to do a zigzag pattern with your design because that helps the grip better. It’s an easy project, but finding the right balance of paint, free-handing a design (not my forte), and making sure it will be grippy can be tricky. It’s hard to go wrong with a project as simple as this–what would you make with puffy paint? 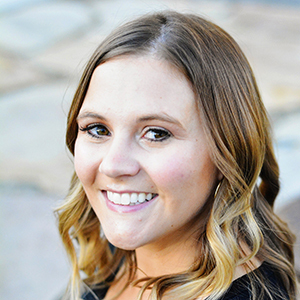 I’m a member of the DecoArt Blogger Program, all opinions are my own.